Join One of the Metro's Fastest Growing Outdoor Service Companies! At Michael Johnson Horticultural Solutions, we care about character more than we care about experience. We're seeking mature, reliable people to fill a number of positions, including: tree climbers, spray technicians, administrative assistants, and general labor. If you're a qualified candidate, come work with the best. When you fill out your information, please include a "Reporting Code." The Reporting Code is MJ#### - the first two numbers are for the job (General Labor is 01, Spray Technician is 02, Tree Climber is 03, and Office Administrator is 04), the last two digits are the month, i.e. January is 01, February is 02. So, if someone applies in March to be a Spray Tech, the Reporting Code would be MJHS0203. Please make sure and save the file as a .doc or .txt, as we will not be able to open it otherwise. Once you've completed these two things, we will be calling you shortly to set up an interview! 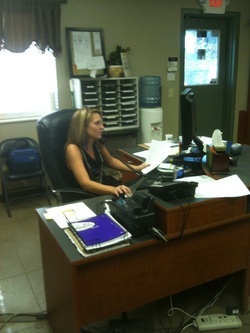 This position involves a wide array of responsibilities. 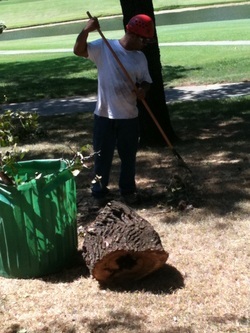 Planting plants, planting trees, lawn maintenance, stump grinding, and minor irrigation work are all a part of the general labor position. When not doing these things, general labor employees can assist other crews with a variety of work. People interested in applying for this position must be reliable, hard-working, and love working outside and with their hands. Spray techs spend almost all of their time outdoors spraying trees and yards for insect and fungi control or fertilizing. You don't have to be a licensed spray technician to apply for this job; the company will help you obtain the state certification (although experience is helpful). Again, spray tech applicants must love working outside with their hands and need to be confident working with chemicals. Tree climbing is a physically demanding position that requires you to climb trees upwards of 50 feet to prune and do any work that cannot be done from the ground. 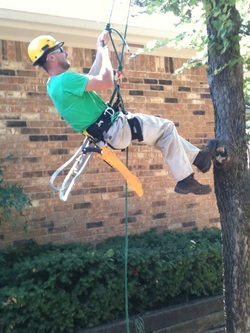 Our tree climbers are trained for procedures authorized by the International Society of Arboriculturists (ISA). Applicants for this position must love working outside with their hands and cannot be afraid of heights. The fast-paced environment of the Michael Johnson Horticultural Solutions office requires employees that learn quickly and multi-task. Whether answering the phone, scheduling and routing crews, or dealing with financials, the office administrator must be able to operate a computer efficiently and keep everything organized.